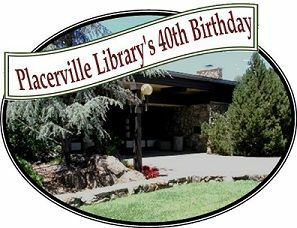 Help us celebrate the Placerville Library's 40th birthday! Join us for activities, balloons, birthday treats, games, and more! FREE fun for the whole family. This free event is in celebration of 40 years of library service on Fair Lane. Look for more events throughout 2018.